One more month and good news for Fiat. In March, it was one of the few brands with positive growth in Europe, just when Germany, France, and Spain markets had double-digit drops. The ‘resurrection’ of Fiat (who knows if it will continue like that) was possible to the success of the 500L. This new mini MPV has become that popular that last month it exceeded Fiat 500’s sales in Italy and the company said that production target could be easily met. 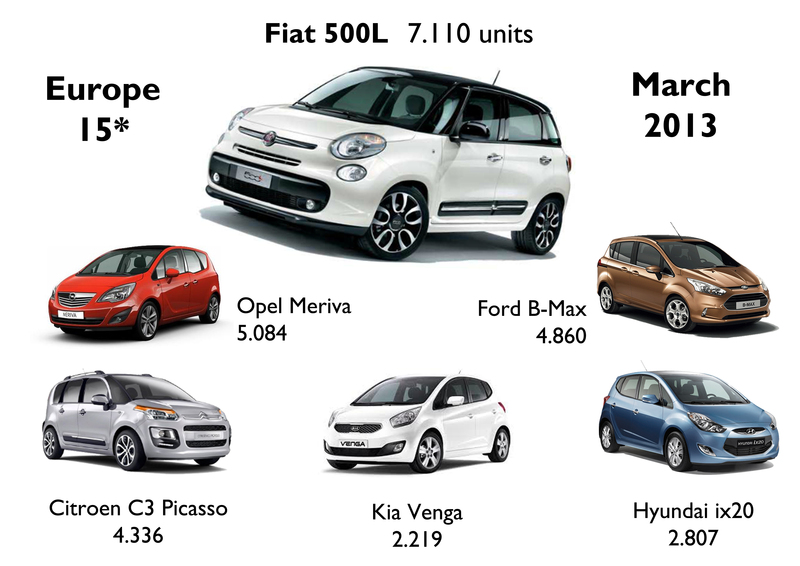 In my monthly analysis, which includes 15 European markets, Fiat sold more than 7 thousand units of the 500L. The result allowed this Fiat to be, once again, Europe’s best-selling B-MPV. Besides, it has become a way to offset the dramatic fall of the Punto. Actually, Fiat is trying to position the 500L not only as a MPV but also as a larger B-Segment in order to hit its competitors and help Fiat to stop losing market share in this segment. Considering Ford B-Max, Citroen C3 Picasso, Hyundai ix20, Kia Venga, and Opel Meriva, as the base of the comparison, the 500L led again with 7.110 units circa (Germany and Sweden numbers are estimated). 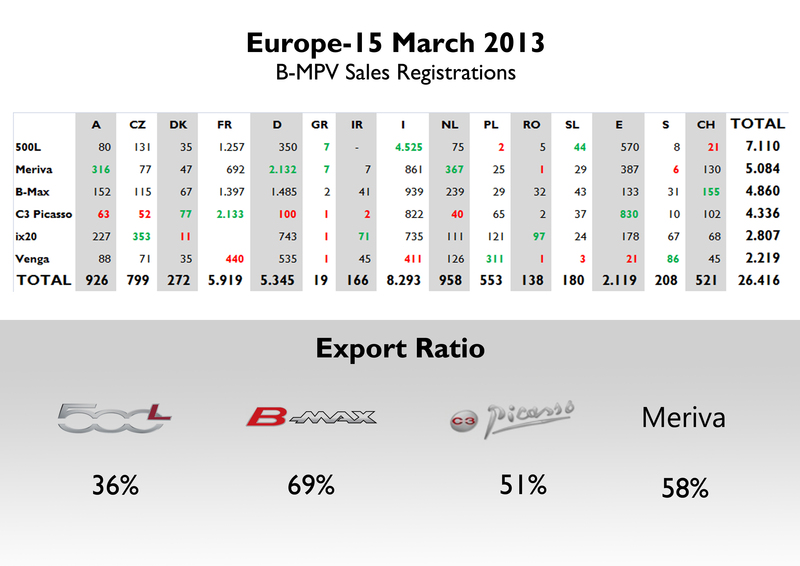 This result is 58% more than February record and allows the 500L to gain market share. In February its sales counted for 23%, and one month later the share jumped to 27%, against the fall of the B-Max, C3 Picasso, ix20 and Venga. Only the Meriva and the 500L had record share in March. A big part of the success of the 500L is explained by an excellent month in Italy, which counted for 64% of total. 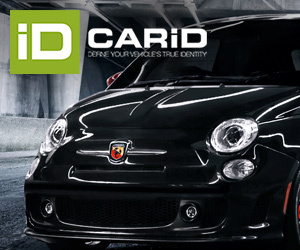 Therefore the dependence became stronger as Italy counted for 50% of the 500L sales in February. Still, it doesn’t mean that Italy is the only market where this Fiat succeeds. It had a record month in Czech Republic, Spain, and France. Besides, the car was recently introduced in the UK (where I am sure it will be an instant hit) and Poland. Compared to its rivals, the 500L is ahead of the second place (in March occupied by the Meriva) by 40%. This is much more than the difference there was between the 500L and the B-Max one month later (the Fiat sold 9% more than the Ford). Once again, good for the 500L (as it is an excellent product) and good for Fiat. 500L has any chance to be sold in Brazil? Maybe imported? What is the price of 500L in Europe? I’m not 100% sure about the taxes that Fiat will have to pay to import it, but let’s say its 100% of the Europe sale value = 31.000 Euro, in Brazilian currency (today: 1 Euro = 2,62371525 reais), that’s around R$ 81.334,70. Could China be good market for 500 and 500l? I don’t think so. Chinese love sedans and now they are moving into SUVs. City-cars are not well appreciated. The same for the 500L. Chinese prefer extravagant cars (full of chrome), while chic/iconic cars like the 500 are not really popular. Getting go through this I asuesmd it had been extremely beneficial. I enjoy you taking time and energy to place this short article collectively. I when yet again locate myself shelling out approach to significantly time the two studying and commenting. But so what, it had been nevertheless worthwhile! Fiat 500XL is at the door also. First pictures are huge disappointment. It looks very bad. Making car with seven seats from little cute 500 is a huge stretch. I think that Fiat should abort its launch and build bigger, better looking sevenseeater like Ullysse or Lancia Zeta. Actually my next article will be about it. From the pics I have seen it looks ugly but as I always say, is better to wait. Hi Antonio. Thanks for reading. The data for 500L sales in the UK I may get it next week, though I am not sure. If I get it I will publish it. I’m sure it will do great in the UK. The 500L will be officially introduced in July in USA so deliveries may not take to long after that. Hi ant, I got the data for 500L sales in the UK in April 2013: 373 units. It was the third best-selling model of the whole group, after the 500 and Panda.